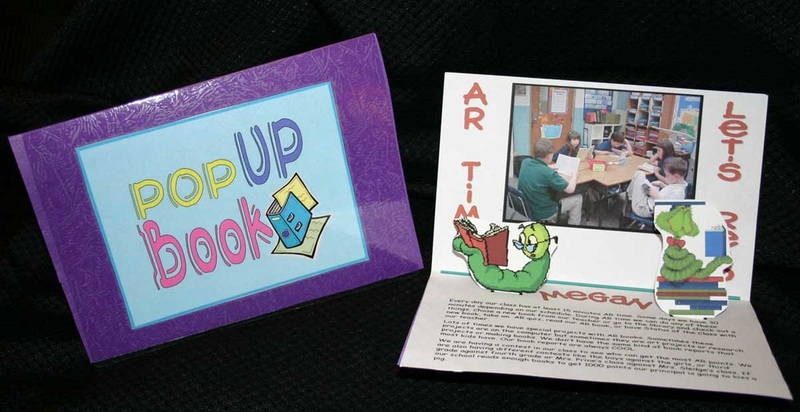 Book It With Technology has some GREAT examples of Foldables! I have used several of these in the past. Students like being able to actually create something besides just ink on paper! I like to call them layered books, because you have several layers of paper you fold over one another. These are examples from past students when we covered the Philosophers, but these books are so versatile they can be used for just about any subject matter! 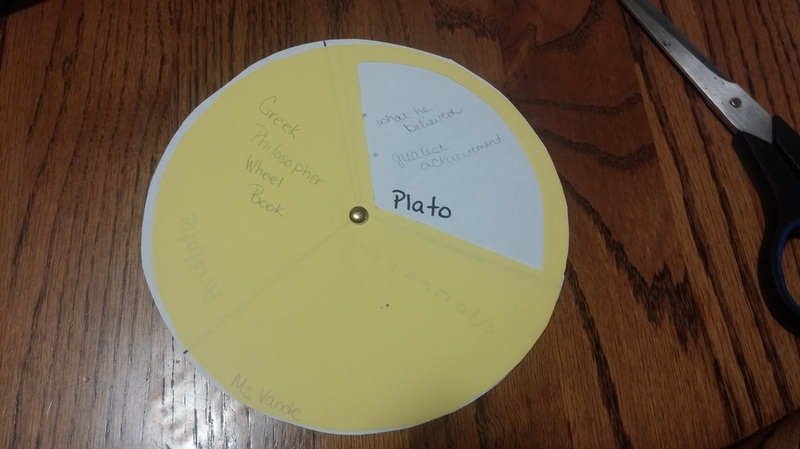 Students use two round circles from the template linked above. The bottom portion has all of the information on it. The top circle has a slice cut out of it so that the bottom portion can be revealed. Use a brad to put the two pieces together so that the top piece can be rotated to reveal the information below it. Using PowerPoint, students put in the graphics on the slides. It is then printed in Handout form so the students can write the information on the lines provided to the right of the images. Students fold a sheet of paper in half and determine how many flaps they need. The students then cut one side of the paper so that individual flaps may be raised to reveal the information below. 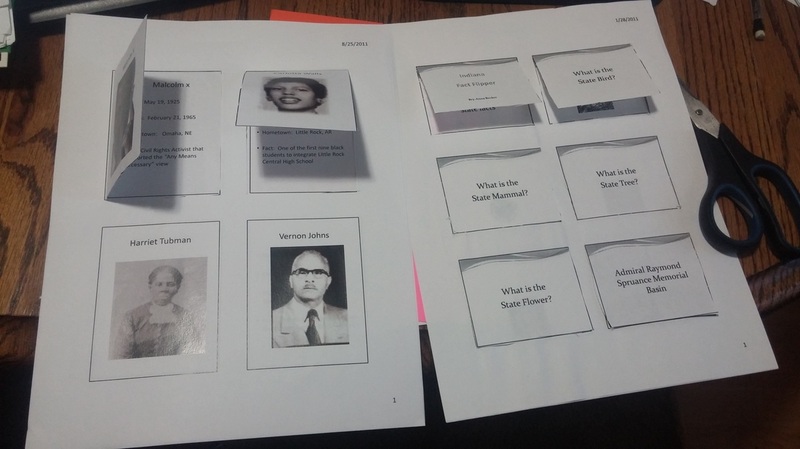 These are really great to create because it allows you to have students type the information into a PowerPoint and then print it out using the Slides per Page option. It's easy to read and the students still get to manipulate it by cutting and gluing it together. We've used them for Civil Rights Leaders but possibilities are endless! Students fold a single sheet of paper and make one cut. 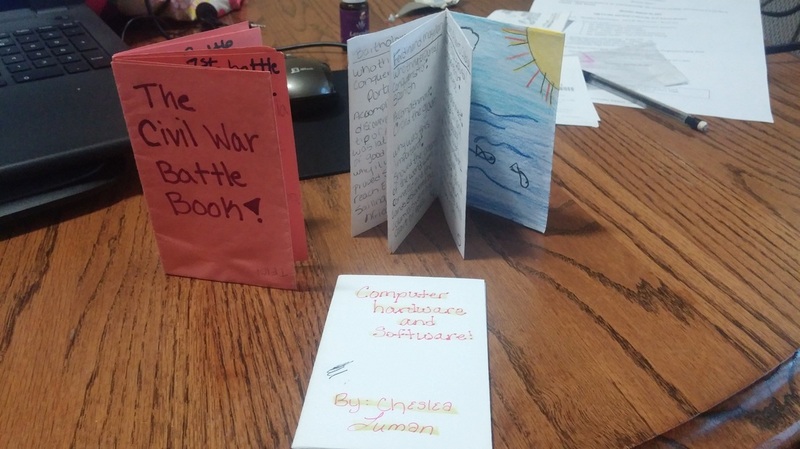 Once folded properly, a mini-book forms that can be used to display information on many topics. In the past I've used to display major battles of the Civil War, important computer terminology definitions, and used it as an Explorers of the New World assignment. Use a common shape template and students can type on it or hand write it. Once completed the shapes can be cut out and joined together using a binder ring or brad (depending on the number of pages). A neat way to add some pizzazz to a regular folded book. The template is linked above or you can simply make your own by folding a piece of paper in have and cutting it as directed on the template explanation. There are many more examples and templates on the Let's Book It with Tech'Knowledge'y website. Be sure to go check them out! Have other wonderful Hands-On Resources like these? Use the email link at the top of the page and let me know about them!